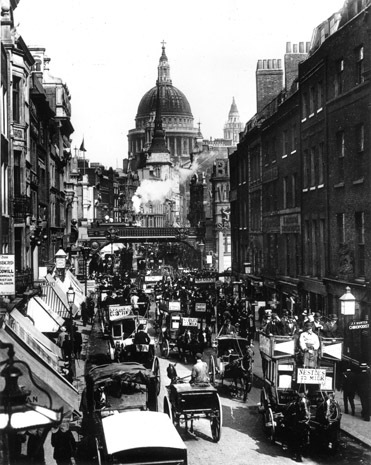 Victorian Era is known for the vast developments that took place changing the political and economic structure of England. The Victorian Britain can be explained under the following categories. 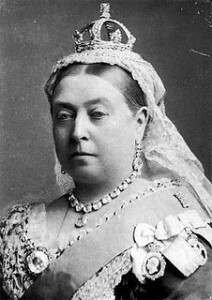 The English government under the rule of Queen Victoria was a monarchy which also comprised of a Parliament. The Parliament was a Bicameral legislature which consisted of The House of Lords and The House of Commons. The said houses would meet separately and passed a bill as law by majority votes. However, for the bill to passed, it was necessary that both the houses accent to it. The members of the House of Lords were not elected by public voting and Lord Chancellor was appointed to supervise its activities. On the other hand, the members of the House of Commons were elected by public voting. In the initial years of the Victorian period, there were two strong political parties, The Whigs and the Tories (Conservatives). These were the first political parties in England who dominated the political field throughout the Victorian reign. The traditional society of the Victorian period was divided into the- Upper Class, Middle Class and the Working Class. Initially, the Upper Class was the superior class having power and authority to dominate the other two classes. But with the Industrial Revolution, the gap between the Upper Class and other two classes reduced remarkably. The living conditions of the middle class improved and some of them were also regarded as rich and wealthy. Working class comprised of skilled and unskilled workers who had to work hard to fulfill their needs and were exploited by others. Industrial revolution attributed to the change in the status of women. According to the traditional family pattern, the women were supposed to look after the household chores and take care of children while the men would earn money. There was a strong presence of male dominance in the society. Women were to obey what men told them to do. The revolution gave women an opportunity to work and earn money, thus changing the old beliefs. Working women not only shared the burden of earning money but it also gave them a sense of security. Their lives were no longer restricted to the house and children. The segregation of large families into nuclear ones also added to the change in the women’s lives. Child labor was rampant throughout the period. A major reason attributing to it was the fact that the families did not earn much and the food prices had increased for certain duration. This made it difficult for the earning members to earn enough to buy food and satisfy the requirements of the family. Also, the family structure comprised of grandparents, parents, children, aunts, uncles etc. The number of family members living together was burdensome. Thus, parents were forced to send their children to work and bring some more money. However, despite working for long hours, the children were underpaid and as such their living conditions hardly improved. A workhouse was a place that sheltered the poor people who did not have the means of supporting themselves. These workhouses along with providing a place to live also gave work to the poor people. The workhouses were functioning under the Poor Law systems prevailing in England and Wales, Scotland and Ireland. The workhouses had captured the imagination of the Victorian writers who termed this place as pauper palaces. In the workhouse men, women and children were kept in separate quarters. Such an arrangement was devastating for those children who were living in the workhouse with their parents. The inmates were given a uniform which they had to wear during their stay at the workhouse. There were certain punishments set out by the Poor Law Commission for breaking the rules of the pauper house. The inmates were not permitted to talk to one another to maintain the discipline of the house. The workhouses had a staff consisting of a Master, a Matron, Chaplain, Medical Officer, School teacher and a porter. The workhouses provided education to the children. However, these children were made to work in factories and mines without their parent’s knowledge. The working schedule in the pauper house kept the inmates busy throughout the day. The work included grinding animal bones, cooking, cleaning, vegetable cleaning, tailoring and many other things which were boring and hard for the people living there. Also in most of the workhouses, the living conditions were such that increased the probability of the inmates suffering from depression. 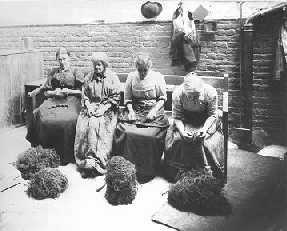 The conditions of the workhouses started improving during the 19th century. Also as the years passed the workhouses were occupied by orphaned children, old people, abandoned children, deserted wives etc. 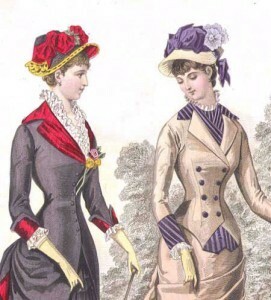 The women’s fashion saw radical changes throughout the Victorian era. The gowns worn by early Victorian women were narrow with sloping shoulders. The very pattern of the gown made it difficult for the women to move. 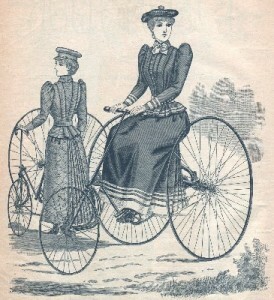 Also, they had to wear layers of corsets and petticoats. This changed in the later years when light gowns were made, making it a little comfortable for women to wear them. However, throughout the Victorian reign, it was prohibited for a woman to reveal her ankles as it was considered to be scandalous. Men’s fashion, on the other hand, saw slow changes in case of neck-ties, day coats, evening coats, waistcoats, etc. The dresses worn by both boys and girls were alike until they were five years old. However, their dressing style changed as they grew up. Children used to wear clothes made from cotton or wool that was found around the house. The children’s dress had long or short sleeve depending upon the season. The lifestyle of a child was decided on the basis of the house he was born in. If a child was born in a less fortunate home, things were difficult for the child. In their situation, children as small as three or five-year-old were employed by industrial units as they were an important but cheap source of labor. The children worked for long tiring hours in the factories doing hazardous jobs. 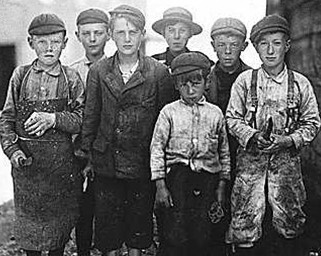 Children, especially boys around the age of eleven or twelve years were employed to clean chimneys. The basic reason why children were driven to work and jeopardize their lives was because of the large families they lived in. The number of people in the family who worked were less as compared to those who were dependent on the earning members. This made it further difficult to earn enough to satisfy everyone’s need. The miserable living condition forced these families to take any opportunity to make money. Thus, children were pushed into working to help the parents to earn money and support the budget of the family. Many people justified children’s working as an act of helping those in dire need of money. This attitude exploited the children rather than saving their innocent childhood. Even the Parliament was in favor of child labor. The conditions in which the children were kept were pathetic. After working for such long hours, there was no time for these children to go to school and obtain education. This reduced the very importance of education from their lives. The tendency of people had become such that they wanted to earn money by doing any job. However, in 1870, Education Act made it mandatory for children between five to ten years of age to go to school. In 1881 the Act was made applicable throughout the country. Many children took after school jobs to help manage the budget of their families. There were two common indoor jobs that children took- one was to work as a servant and the other was to be sweet shop workers. Girls and Boys as young as eleven years worked as servants in people’s homes. The buildings which formed the Victorian architecture were Victorian gothic buildings having arches, pointed windows; Victorian Italianate architecture rebelling against the classical architecture; Second empire with boxy roofs inspired architecture in Paris in the reign of Napoleon, etc. Greek style was used for public buildings but, the popularity diminished during the Victorian times. Inspirations were drawn from history, nature, geometry, personal life to make new designs. The 19th century brought changes in the house color schemes and the architecture. Initially only white, grey or beige were used as colors but by 1887, people started using light and bright colors. Vibrant colors are the essential feature of Victorian era Britain.